How are you enjoying the MyCardRules app? My experience with it has been great! Do you like the alerts and control that you now have? Do you use it to monitor your kid’s spending patterns? Do you turn your spouse’s card off before their shopping tripJ? Wait, scratch that last idea – it might get you into trouble! If you don’t know about the My Card Rules app, you MUST check out my last post. Once you have gotten the app, please come back here and find out how to customize it. What makes the MyCardRules app unique? Well, rules, of course! Rules and alerting for your debit cards is what puts you in control of your debit cards. Notice I said “cards.” Yes, you can monitor multiple cards in the MyCardRules app. This is important because you can customize different rules for each card! You can have rules for your personal debit card, your business debit card, and your child’s checking account, just to name a few. The rule customization options are truly limitless. If you want to create custom alerting, the MyCardRules app provides you with a blank canvas. I am going to show you how to tailor the My Card Rules app to fit your needs in just a few short, simple steps. Pick the card you want to create rules for. Notice in the photo below (the four scroll buttons along the top) that I have multiple cards in the app and can manage each one by swiping left or right on this screen. Tap on alert preferences, to create custom rules for your card. Custom rules. By default, MyCardRules will alert you about all transactions. 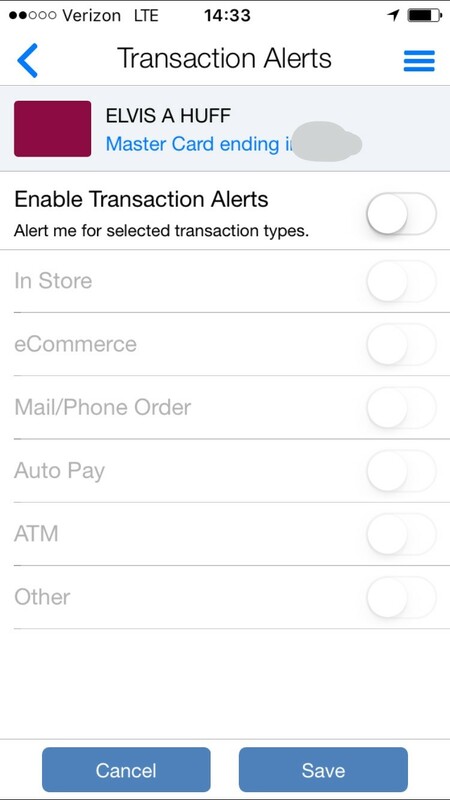 To customize this, tap on all transactions to change your alert preferences. Help Needed. It’s a good idea to understand what rules we can change and how they work. Tap on the “tell me more button” to bring up the help menu. Tap the “x” in the upper right when you’re done to return to the menu. The four types. 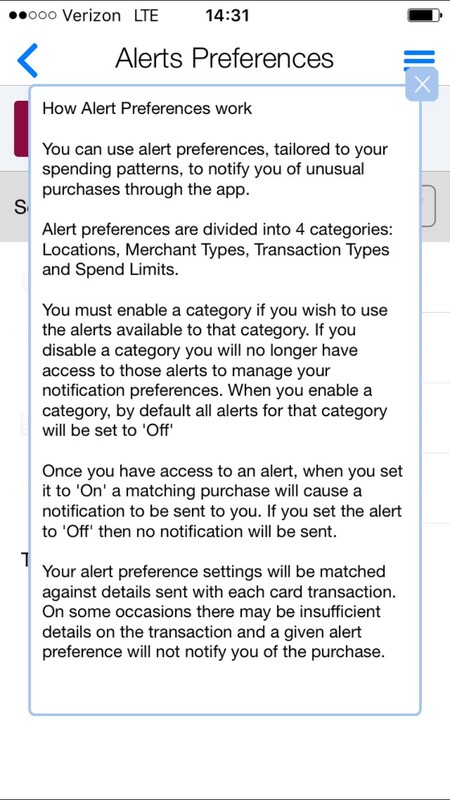 Now that the alert preferences has been changed to preferred, we can enable alerts in any of the following categories: Locations, Merchant, Transaction, and Spending Limits. 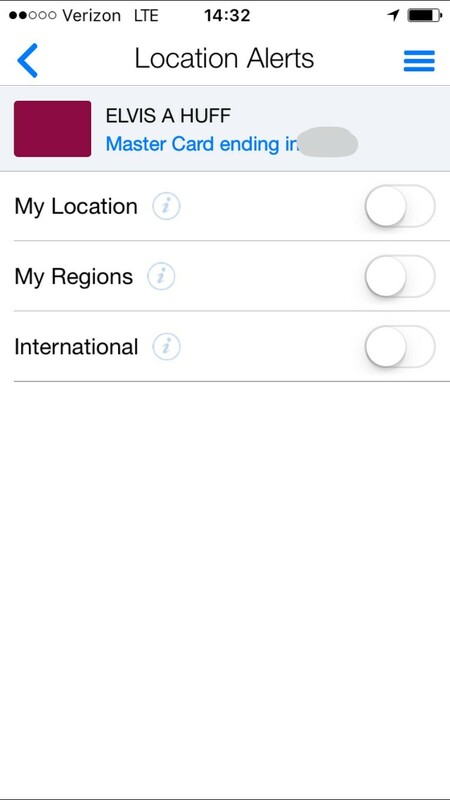 Location Alerts – Set rules based on the phone actually being present with you at the time of the transaction. You can also setup home regions and international areas too! This is handy for those traveling abroad. The location alerts are my favorite! Merchant Alerts – If a certain type of merchant is used, you will get an alert. Concerned about crooks using your card for travel and restaurants? Select these two categories to ensure you get alerts every time your card is used for one of these merchant types. 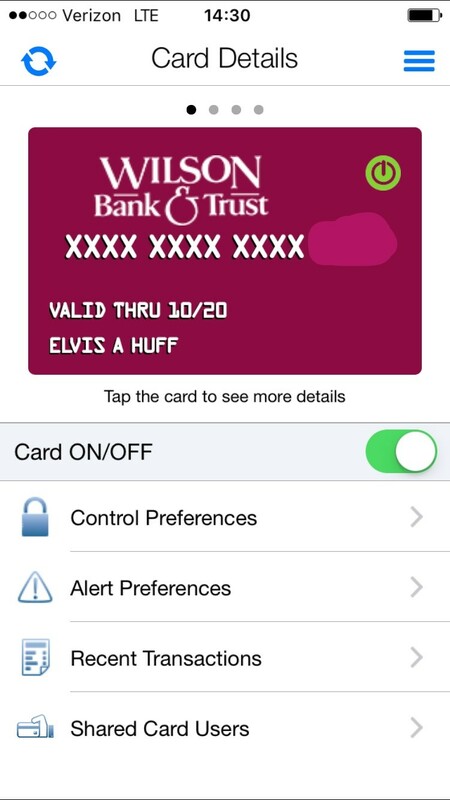 Transaction alerts – If certain transactions are used for this card, an alert will be sent. This is an especially great rule to add if you have a card you use only for your online shopping. Simply turn on e-commerce alerts (and any others you want). 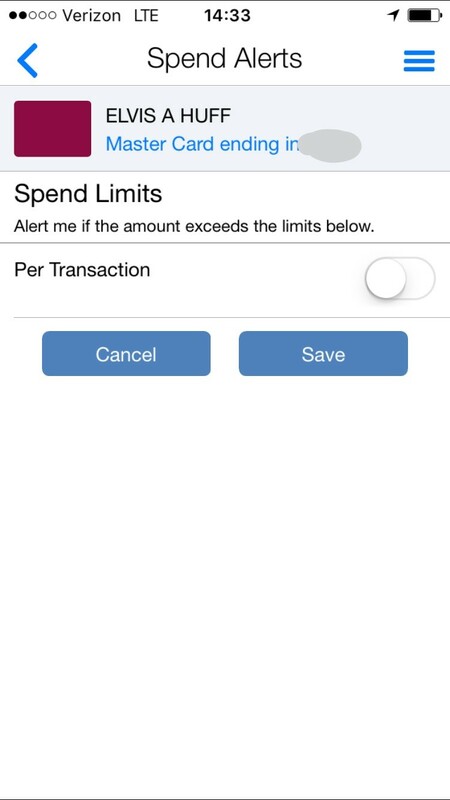 Spending Limits – Create alerts based on the amount here. If the amount exceeds a limit you set, an alert will be sent. Concerned about high dollar purchases? 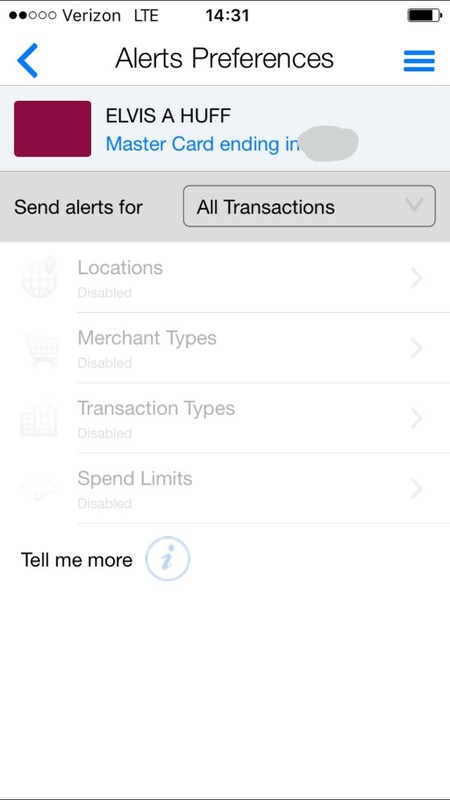 Turn this alert on and set the dollar amount to get notified when that amount is exceeded. As you can see, MyCardRules, provides a meticulous set of alerting tools. The best way to learn them is to dig in and create some custom rule sets. If you do not like them, simply turn the default setting back on and you’ll receive alerts about all transactions again. I would love to hear from you and what rules you have created. What works for you? What doesn’t? Let me know in the comments section below. I would love to hear from you! 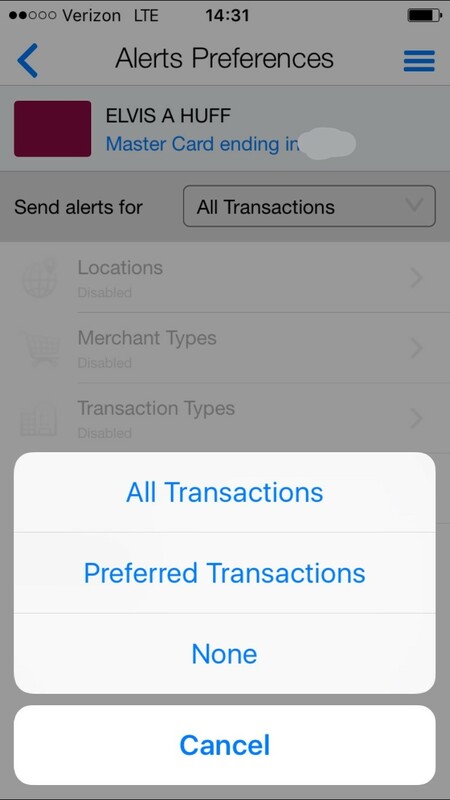 We love the option of being able to control the amount on transactions for each card. Awesome! Thanks Sam! Good to hear!